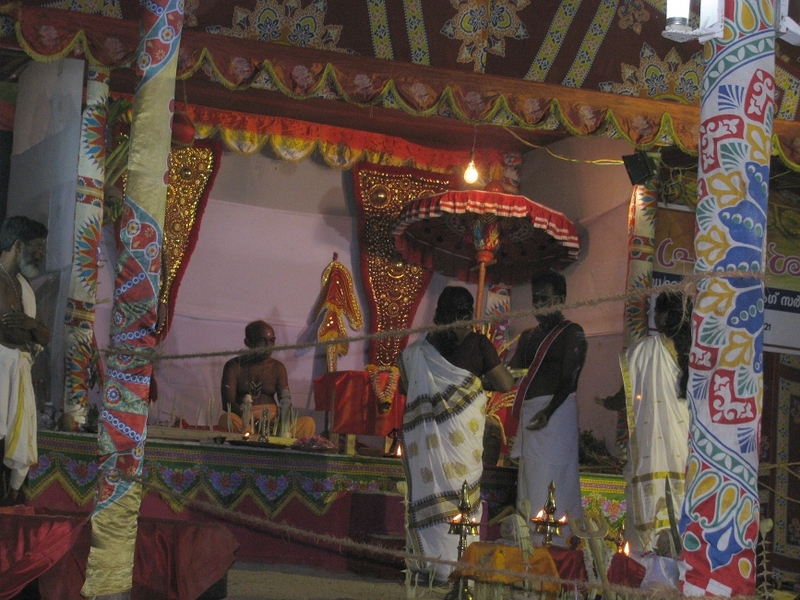 9.30 am Installation of deities The deities are installed in the Panappantal and Tantri offers worship as in day 1. 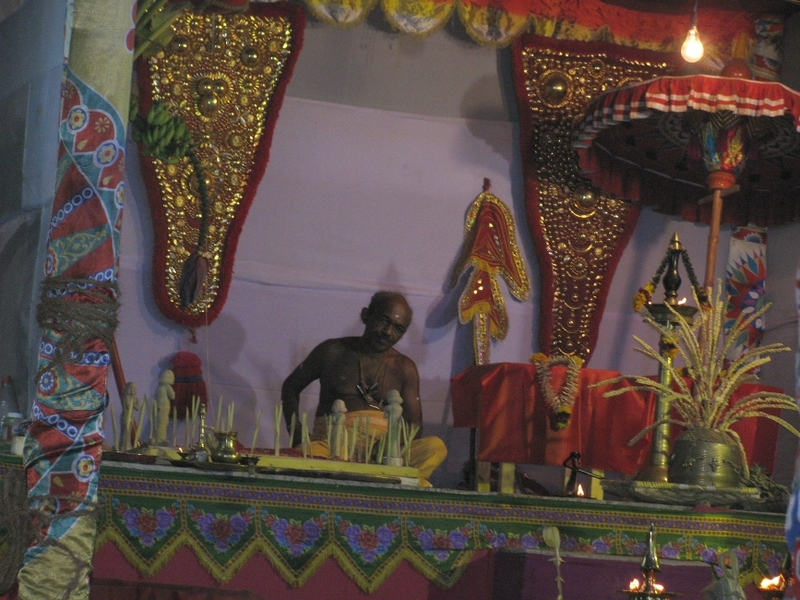 Chaturbali is performed to appease Irulatavi. Irulatavi helps in situations in which one get confused and lose the sense of directions. 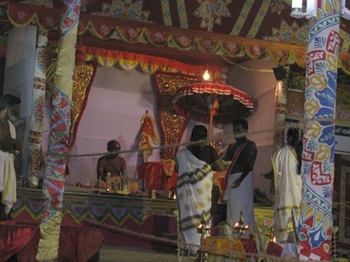 Tantri gives Kuri to the Velan ritualist (Sadashivan). 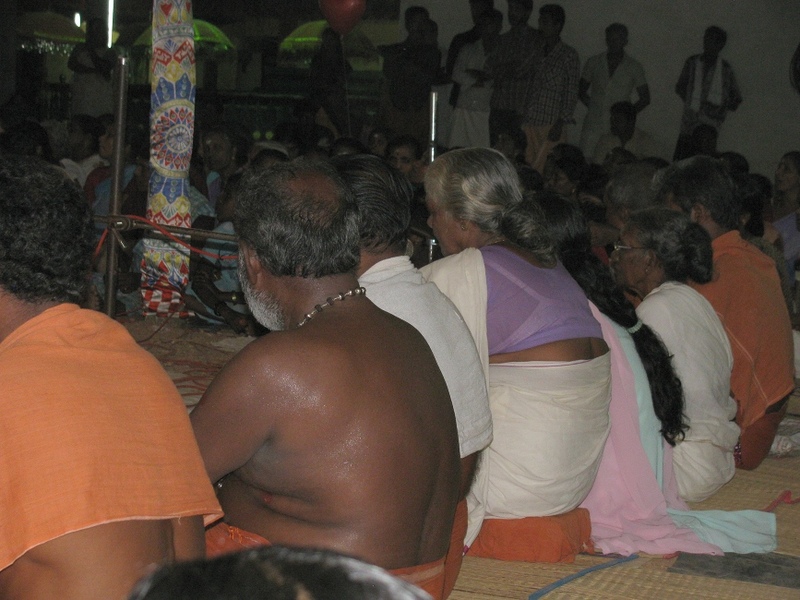 The Acharya presents the sword to the Velan. 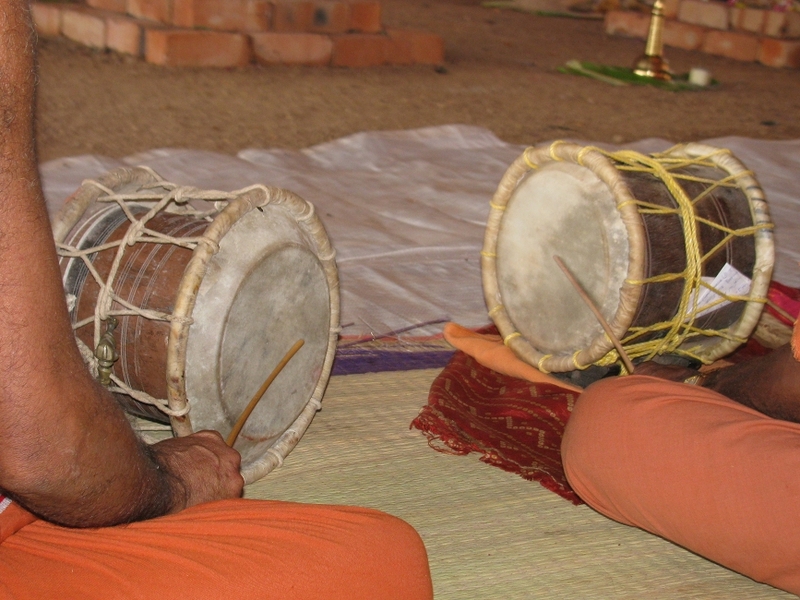 The Velan holds a bunch of coconut flowers.